The flat four VW engine is a pretty straight forward beast. After all, it did originate in the 1930s, and its design altered little during its extended lifetime. In general, it is also a very reliable unit, and it is a rare occurence that it will break to an extent that you cannot get home. A couple of members of staff here in the VolksWorld and Camper&Bus offices have even managed to coax their sick Dubs home having dropped a valve! However, despite its inherent reliability, the trusty flat four still needs to be looked after, so neglect it at your peril! 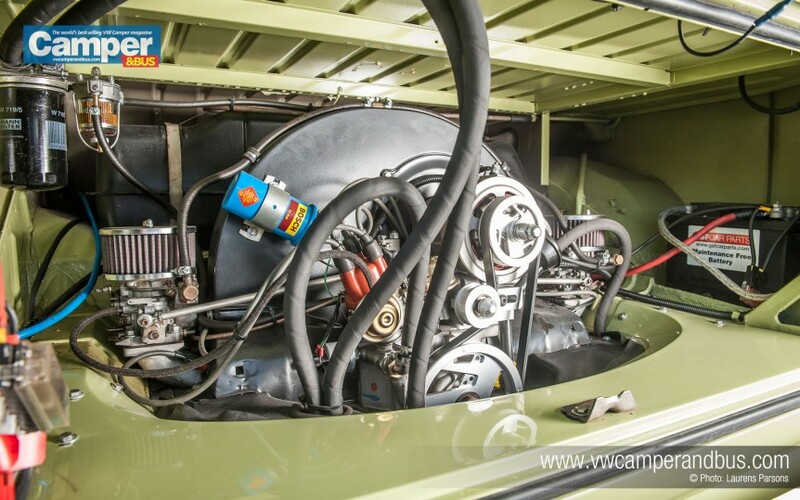 And always remember that, even if it’s new or reconditioned, the VW Bus engine is not a modern unit, with service intervals every 20,000 miles, that you can thrash from cold and never think twice about. To keep it happy, it needs regular maintenance and oil changes. But first you need to know your way around the engine so hopefully this guide to the VW Bus engine will get you orientated.